1. The Bill for Union of Churches in Lincoln. 1. 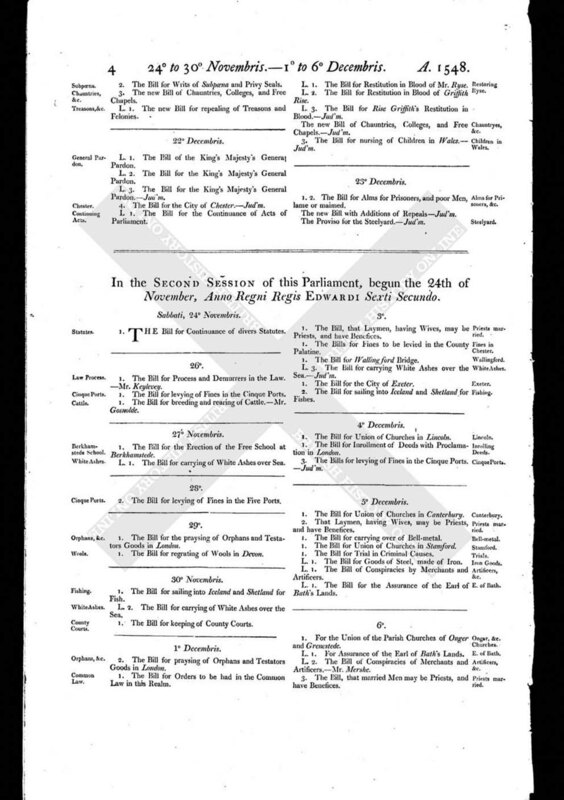 The Bill for Inrollment of Deeds with Proclamation in London. 3. The Bills for levying of Fines in the Cinque Ports. - Jud'm.